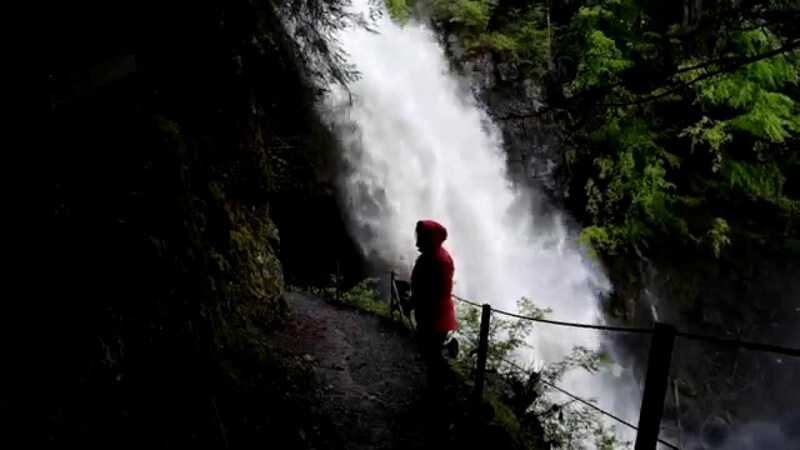 The name “Giessbach” translates literally as “pouring stream”, and pour it does, magnificently and powerfully, when there is a lot of rain. Our regular swallow visitors have a preferred perch above the area around our house. And it's just a few metres from our balcony. The mountain slopes near the world-famous Eiger are a destination for thousands of skiers and snowboarders in winter. On the Männlichen plateau, above Grindelwald and Wengen, the best time of day for photography is shortly before sunset, when the sports people have left for the day and only cable-car staff and a few sunset-hunting visitors are still on the mountain. Low cloud drifts through the Lauterbrunnen Valley, below the level of the cable car station on the Männlichen plateau. The mountain station and restaurant at Winteregg, halfway between Grütschalp and Mürren, is a great place to enjoy a sunny lunch on the large terrace and enjoy the terrific, panoramic views of the Eiger, Mönch and Jungfrau.